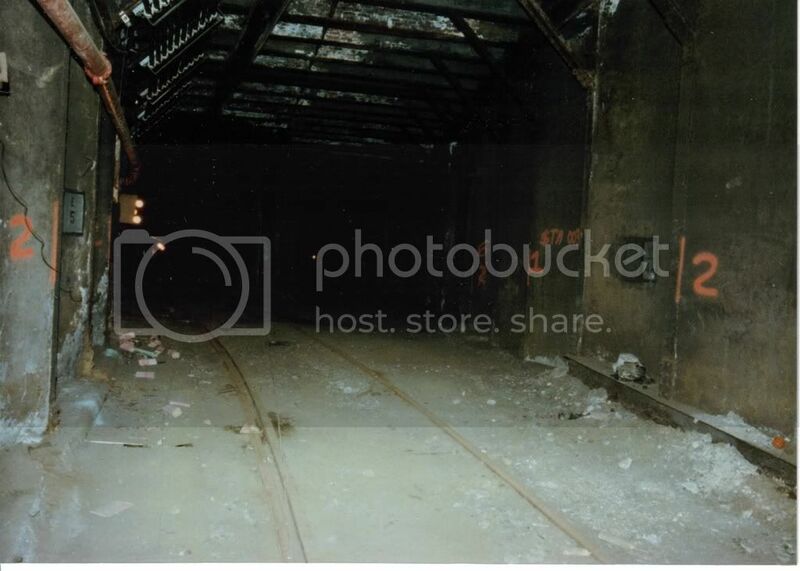 RAILROAD.NET • View topic - Abandoned Tremont Street Subway Photos !!! 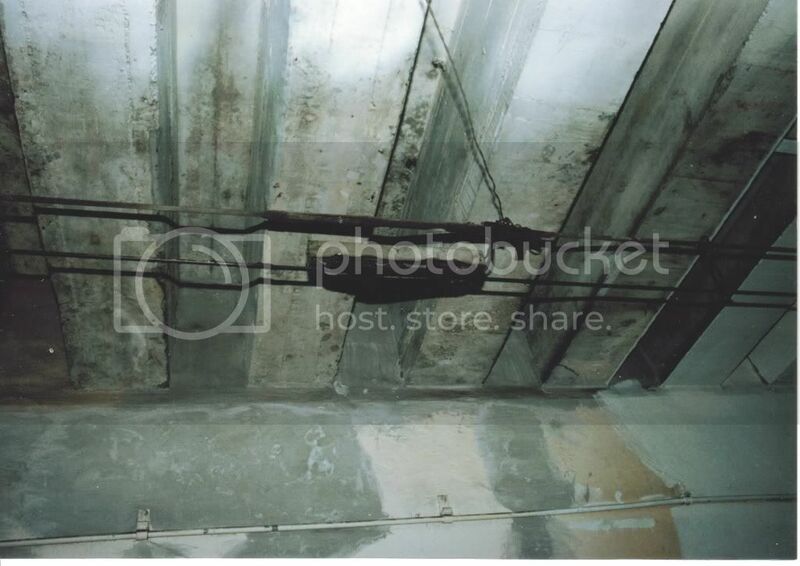 Abandoned Tremont Street Subway Photos !!! We're standing on the former location of the turnout merging the inbound Shawmut Ave. track with the inbound Tremont Street track approaching the bellmouth, after coming in the Tremont Street Subway from the Pleasant Street Incline. Note that the Tremont Street track has been removed, making a turnout unnecessary. We're now underneath Tufts N.E. Medical Center garage on Tremont between Hollis/Common Sts. Directly underneath the intersection of Boylston Street at Tremont at the abandoned southbound (outbound) section, just south of Boylston Station (Green Line). When the MTA discontinued the North Station-Lenox car line on 11/18/61,this was the last time that revenue cars used this route between Boylston Station and Broadway. We're underneath the Wang Center area on Tremont at Hollis Street, south of Boylston Station. An ancient voltage contactor for an electric overhead frog in the tunnel. A 1948 Ohio Brass catalog shows a newer model. Original ? Agreed, those are nice photos of a superseded structure. Surprised to see the rail still in place. Fairly complete photo essay on the tunnel here. Tunnel was last used 4/5/1962. A shuttle service to the surface platform outside the portal ran for 5 months after the Lenox St. line was bustituted using a double-ended PCC that just ran back and forth between the portal and Boylston station all day. That proved unworkable, so was quickly abandoned. The portal remained open and the tunnel lit, closed by a chain-link fence, until 1975 when it was covered over by a concrete wall and buried in a small hill so Eliot Norton Park and some NEMC buildings could be erected on the property. When the Orange Line South Cove tunnel was constructed in 1967 (sitting unused for 20 years because of the I-95 Southwest Expressway cancellation that forced a redesign of the Southwest Corridor ROW) the shell for NEMC station was built extra deep like it is with that spacious lobby upstairs so the Tremont tunnel could be extended to NEMC in a future El replacement configuration...the exact same one Roxbury residents still prefer over a silver-painted 49 bus. Since no one could've anticipated the I-95 moratorium it was expected that the Orange Line relocation would happen by 1970 and that this tunnel possibly wouldn't be idle for too many years, which is why the tracks and overhead stayed and the ROW was kept completely clear. So most of its "decrepitness" accumulated after the 1975 portal sealing and formal abandonment of the structure, with a lot of the construction waste from the above-portal construction being stuffed in a trash heap at the end of one of the bellmouth track splits. There is still an active emergency exit in there leading from Boylston inbound station to before the initial bellmouth splits, so that side is lit, kept clear of trash, and regularly visited by T personnel and the fire department. It's after that where things are truly dead. The outbound side is unlit from Boylston, but there's a pump room (same one you can see from a train on the right directly after the hard curve when they have the lights on) installed after the 1996 flood, reachable a short distance down the outbound incline. That's why the pic of the tunnel directly below the active curve has that nice new red standpipe installed on the wall. A couple years ago it was even lit a few months by temporarily-strung construction lights while they were doing work down there. There are off-the-shelf guiding devices for buses. All thats needed as a bright line painted on the floor, and a camera in the bus follows it and controls steering. Its used in europe and asia. Every so often someone points out that the T says the existing tunnels are too narrow for buses, so a bus Silver-Line III would have to involve demolishing them. What about hi-rail trolleybuses (temporarily trackful trackless trolleys?) that could use the existing tunnel? If that would put too much weight on the thin strips of tires touching the rails, pave the tunnel, so that all the tires would hold the weight of the bus but the small flanged wheels would guide the buses. In the newer Silver Line tunnels, the buses could run as buses. Or else redo the catenary to allow pole or pantograph operation again, and the buses could even make it to Park St. or wherever. I realize that wouldn't create a separate ROW to Dudley, but it would give a one-seat ride and eliminate a lot of underground construction. The vehicles would be oddball, but what T vehicle isn't oddball? Seems like vehicles like that could also give a one-seat ride on the Arborway line, where a separate ROW is basically impossible anyway. I have seen before when T workers or other workers have to access part of those tunnels, mostly near the incline the leads up to Boylston and they tell the CSA's if I am not back in 15 minutes call Transit Police Apparently their is a fair amount of homeless activity down their as well. I am not sure however if their are access points to the tunnel besides going down the incline on either side of Boylston, but I would not go down their alone! 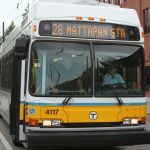 Arborwayfan wrote: Every so often someone points out that the T says the existing tunnels are too narrow for buses, so a bus Silver-Line III would have to involve demolishing them. What about hi-rail trolleybuses (temporarily trackful trackless trolleys?) that could use the existing tunnel? If that would put too much weight on the thin strips of tires touching the rails, pave the tunnel, so that all the tires would hold the weight of the bus but the small flanged wheels would guide the buses. In the newer Silver Line tunnels, the buses could run as buses. Or else redo the catenary to allow pole or pantograph operation again, and the buses could even make it to Park St. or wherever. The T can't afford to do another never-before-tried custom design after Neoplan went bankrupt trying to do the dual-modes. In this kind of budget crunch that kind of madness has got to stop. The Type 8 1/2 or Type 9 designs that they're starting on for the Green Line are going to be a LOT more off-the-shelf constructed than the 10-year Breda odyssey was, and they are not going to stray from a battle-tested low-floor section be it a perfected Type 8 model or something mixed and matched from other proven designs (in other words, back to sanity like the all-proven-parts Type 7 order that followed the Boeing debacle). The T is even backing away from CNG buses because they just haven't been quite enough of an environmental improvement over the cheaper and more-standard innarded clean-diesels. And I wonder if even the slight inconvenience posed by the slow Siemens rollout on the Blue Line is going to have them playing it even safer on the upcoming Orange 01200 and Red 01500/01600 replacement orders with a no-surprises maker of existing T equipment like Bombardier maybe getting favored. The tunnel definitely can't be paved. It's 1897-construction dimensions...just too narrow to steer a vehicle that's not on a fixed path. A Type 8 would have absolutely no trouble whatsoever with any part of the tunnel...the steel trusswork on the 4-track flyover ramps would just need structural reinforcement for the heavier-than-PCC cars. But the tunnel construction would be a fraction of the money of ANY rubber-tired alternative, which would require either building a totally new tunnel underneath or ripping up the existing one and the streets above and messing up building foundations to build a wider-footprint one in place (which they may not be able to legally do anyway because all the 1897-98 tunnels are on the Nat'l Register of Historic Places). The price quote was $800 million...and you know they were holding their bulging gut in on that projection so the "Medium Dig" cost would inevitably be counted with a B in real life. Even if the tunnel costs a couple hundred mil for an LRV rehab and extension to NEMC that's so much less than the conservative estimate for BRT that they could've done whatever luxurious thing they wanted to to the surface route and probably still spent less. I really don't think you're ever going to get a sub-surface Washington St. replacement service as convenient as the T promised without reusing the existing infrastructure for rail. It's just not feasible. Although that's more likely to mean that the former El corridor is going to be stuck with a marginally-upgraded silver-painted 49 bus for life and probably years and years of lawsuits rather than getting the Green Line branch to Dudley that's the best available option shy of a new Washington St. subway that's not going to be built in our childrens' lifetimes. GP40MC 1116 wrote: I have seen before when T workers or other workers have to access part of those tunnels, mostly near the incline the leads up to Boylston and they tell the CSA's if I am not back in 15 minutes call Transit Police Apparently their is a fair amount of homeless activity down their as well. I am not sure however if their are access points to the tunnel besides going down the incline on either side of Boylston, but I would not go down their alone! Unlikely these days. It's not easy to get down there from the station. There used to be a way to sneak behind the outbound ticket booth to the incline, but the new Charlie vending machines have covered up that spot pretty well. On the inbound side it's still possible to sneak behind the stairs to a narrow opening to the lit inbound tunnel behind the historic cars (it's left open because that's the platform route to the emergency exit). You'd be visible to anyone on the platform who might be looking that direction through the fence, but when people have illegally snuck down there that's been the preferred way because the booth attendant is rarely looking in that direction. But pretty much one security camera mounted behind the booth on that side would be enough to close that loophole. I'd be surprised if they didn't think to install one during the Charlie-related spruce-up job the station got last year. There's no other access points inside the tunnel except for the emergency exit that only opens from the inside. I think the homeless problem was much more prevalent before the '75 portal sealing and back in the budget-crisis days when fares were collected on the train at Boylston because of lack of money for staffing...but there's just not an easy way down there. And of course you'd have to come back out for food sooner or later. The cops do sweep the area on occasion especially when the Fire Dept. inspects the emergency exit...they don't usually find evidence of recent human activity down there. I read some online essay by a guy who had been down there all the way to the portal wall in not-very-legal fashion and the only things he stumbled across were a several-decades-old shoe and a few-days-old newspaper page that had wafted partway down the tunnel in a breeze. Now, Rodents of Unusual Size...that's something to alert the search party about before going down. Otto Vondrak wrote: I say we start a subway-surface shuttle with the historic cars at Boylston! Who's with me? F-line to Dudley via Park wrote: ... of course you'd have to come back out for food sooner or later. The cops do sweep the area on occasion especially when the Fire Dept. inspects the emergency exit...they don't usually find evidence of recent human activity down there. 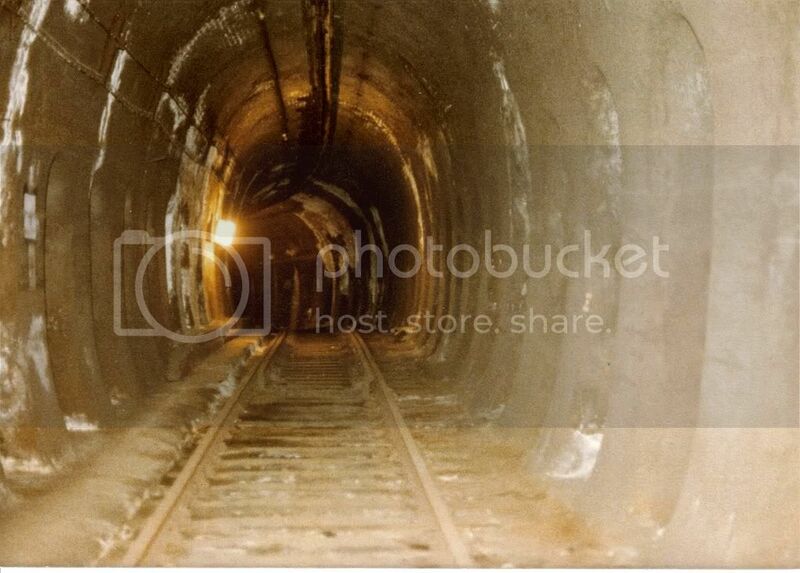 I believe it would be very difficult for the homeless to hang out down in the farthest part of the abandoned tunnel for long periods, since looking at 3rdrail's and the abandonedsubwaytunnels.com photos, its pitch dark. A flashlight and/or lantern is a requirement for anybody. Actually, physiologically, I'm told that even the most infinitesimal light can illuminate the human eye given proper acclamation. 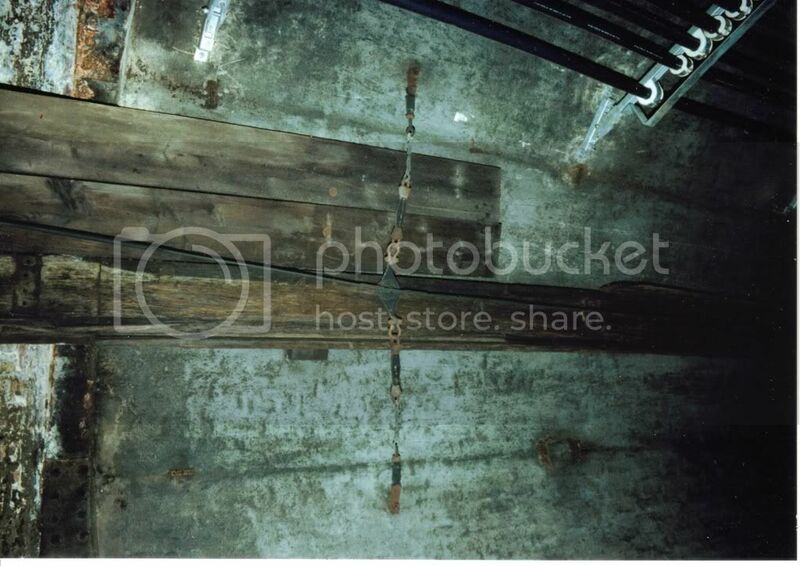 Immediately prior to 9/11/01, I was going to participate in a Grand Central Tunnel sweep where villages of homeless persons live full time, often without seeing daylight for weeks or months at a time. Their "night vision" is so acute that they see clearly what you or I would view as almost total darkness. They are a force to be reckoned with, as along with this power, they can be extremely territorial. Communities with children have been located on previous sweeps living in an extremely unhealthy and dangerous environment, to say the least. The T can't afford to do another never-before-tried custom design after Neoplan went bankrupt trying to do the dual-modes. 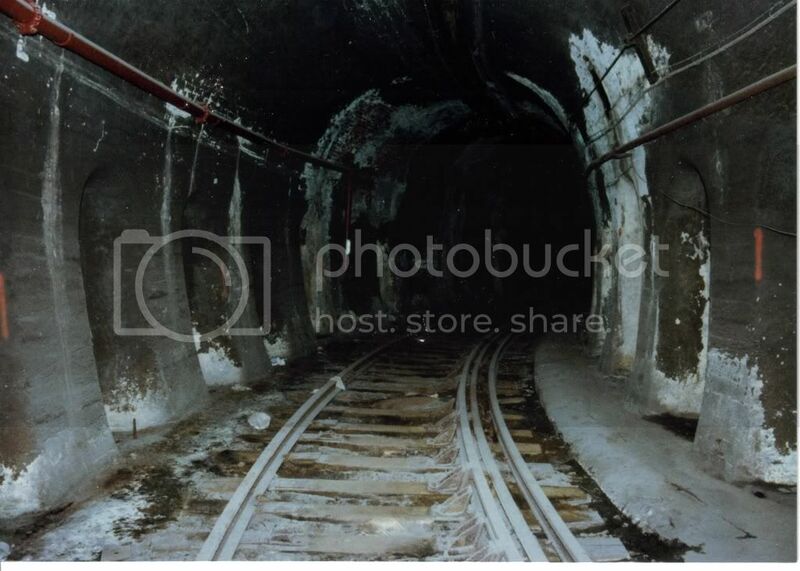 I believe it was said that a double ended PCC used that tunnel and incline before, so my gues is put up new wire and trackwork ammung other things and it would go down their. If the tie wasn't chained to the rail and the breakes released off of one of the work cars it would be a fun ride down I believe it's the Outbound side heading towards Arlington where the track is still in place and the side w the PCC and Type 5 the track ends right after the Type 5.
savebowdoin wrote: Great shots! When were these taken? These shots are nothing new. They have been on the NE Rail Photo archive for a while. The pictures are dated the year 2000.